Sci-fi CoD? So that's Halo with killstreaks, right? A couple of fresh rumours have started doing the rounds, with one suggesting Activision and Infinity Ward are set to reveal this year's annual Call of Duty entry, while the other says this new CoD will have the subtitle Infinite Warfare. The first bit of speculation came from a internal document from a retailer that showed a list of new titles, with a slot entitled 'Call of Duty Reveal' at the bottom with a date of 3 May. So is Activision planning to reveal more at an event next week? Well, this is about the time of year where we usually hear about the latest CoD so the dates certainly match up. The other rumour came from Reddit user Goontmyfries who found what appears to be a listing for a 'Call of Duty: Infinite Warfare' on the PlayStation Store. The info has, unsurprisingly, now disappeared from the PS Store. We're a little more wary of this rumour - the 'Warfare' subtitle has been a popular one for the series (including Infinity Ward's 'Modern Warfare' and Sledgehammer Games' 'Advanced Warfare' subseries), and the games have been getting increasingly future obsessed, but if we follow the three studio development cycle Activision is currently using, Infinity Ward should technically be working on a follow up to 2013's excellent Call of Duty Ghosts. 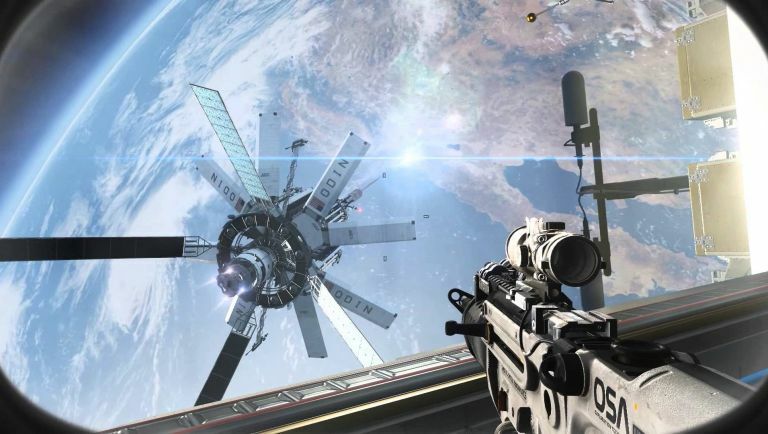 Rumours have already been circulating for a while that the new CoD will be the most sci-fi entry yet with a conflict between two space-based factions. So basically Halo, right? Even if we don't hear anything next week, you can be sure Activision will have plenty to show off next month at E3 2016.